I am a coach with ASF Triathlon and have been coaching and providing programs for athletes for over 10 years. 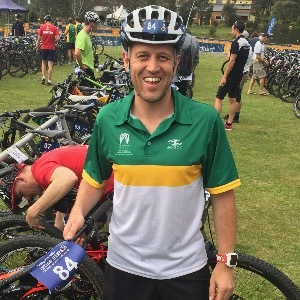 I provide, group squad training, 1-1 sessions, technique analysis, program consultations and training programs for Triathlon, Duathlon, Xterra (Off road Tri), Cycling (Road and MTB) and Running. I am also a coach at YarraTri, one of Australia's biggest training programs and most successful clubs. My Coaching philosophy is fairly simple, and that is to help my athletes reach their own personal goals whatever they may be. Whether it to complete their first sprint distance tri or to qualify for Kona I am happy to help them do this in an efficient and effective program that caters to their experience, goals and training time available. I use scientifically proven principles and I believe in a quality over quantity approach for all levels of experience and for all race distances. I am also interested and involved in xterra racing and cater my training approach and programs for those wishing to take on off road racing. Ive had athletes qualify for world championships in Ironman and 70.3 racing and have also personally raced at the Off road tri world championships. In addition to triathlon training I train runners from cross country events up to ultra marathons, Cyclists for road racing, time trials, MTB and Gran Fondo Events. Success. Coach Nathan McAvaney has been notified of your message. To hire Nathan McAvaney as your coach, select the coaching service that is right for you.